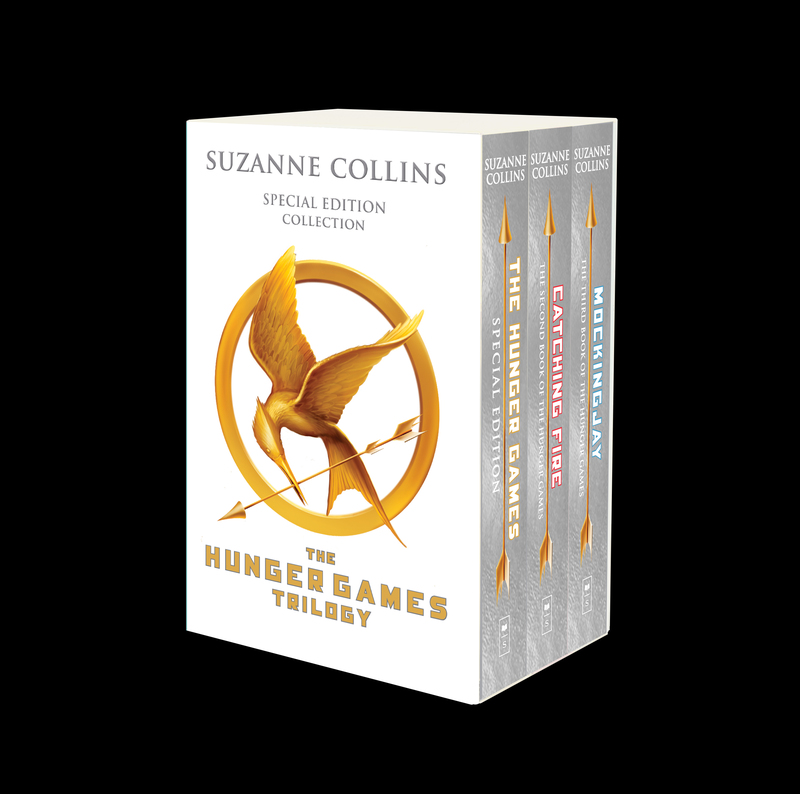 New York, NY — April 19, 2018 — Scholastic, the global children’s publishing, education, and media company, announced today that it will publish a Special Edition of The Hunger Games by Suzanne Collins, to celebrate the tenth anniversary of its publication. The Hunger Games Special Edition will contain more than fifty pages of new bonus material, including the most extensive interview Suzanne Collins has given since the publication of The Hunger Games, which provides an absorbing behind-the-scenes look at the creation of the series; an engaging archival conversation between Suzanne Collins and YA legend Walter Dean Myers on writing about war; and a timeline of highlights from the first ten years of The Hunger Games. 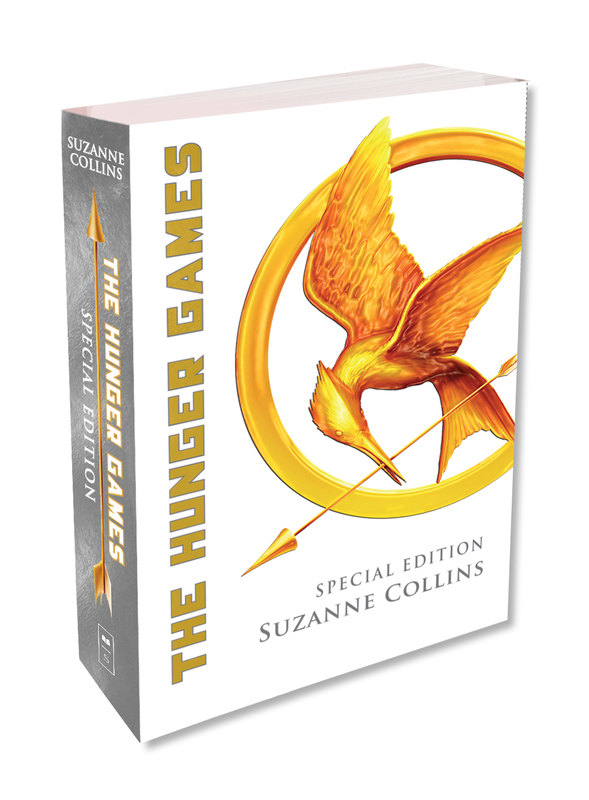 The Hunger Games Special Edition will feature an all-new white paperback cover with foil accents, and also will be available as part of a collectible paperback boxed set of The Hunger Games Trilogy, that will have new foil covers for all three books in the series. The Hunger Games Special Edition will be published simultaneously by Scholastic in the US, Canada, and the UK on October 30, 2018 (Paperback: ISBN 978-1-338-32191-3; $12.99 US/$16.99 CAN / Boxed Set: ISBN 978-1-338-32364-1; $38.97 US/$49.99 CAN). Bestselling author SUZANNE COLLINS first made her mark in children’s literature with the New York Times bestselling Underland Chronicles fantasy series for middle grade readers. She continued to explore themes of war and violence for a YA audience with The Hunger Games Trilogy. The Hunger Games (2008) was an instant bestseller, appealing to both teen readers and adults. It was called “addictive” by Stephen King in Entertainment Weekly, and “amazing” by Stephanie Meyer on her website. The book appeared on the New York Times bestseller list for more than 260 consecutive weeks (more than five consecutive years), and there are more than 100 million copies of all three books in the trilogy, The Hunger Games, Catching Fire (2009), and Mockingjay (2010), in print and digital formats worldwide. Foreign publishing rights for The Hunger Games Trilogy have been sold into 56 territories in 53 languages to date. In 2012 Lionsgate launched the first of four films based on the novels, starring Jennifer Lawrence. To date, the franchise has earned nearly $3 billion at the worldwide box office.